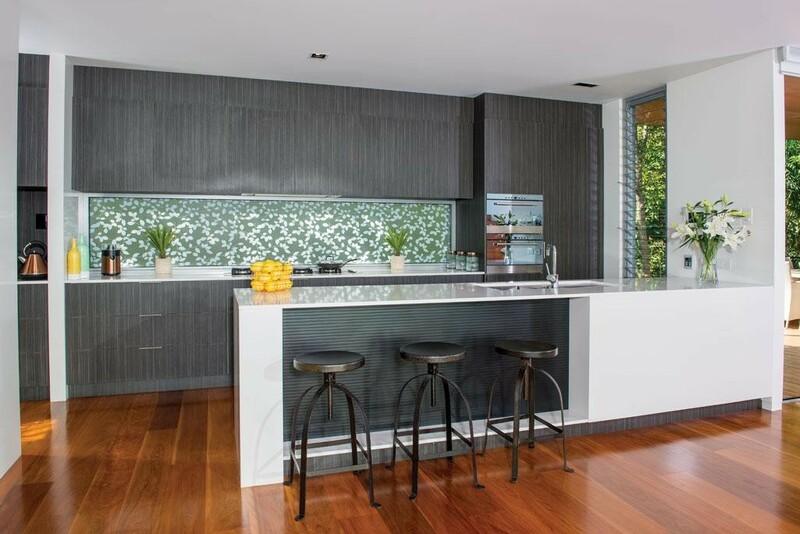 Surrounded by local native trees, birds and wildlife, this stunning home was designed to be as close to nature as possible. 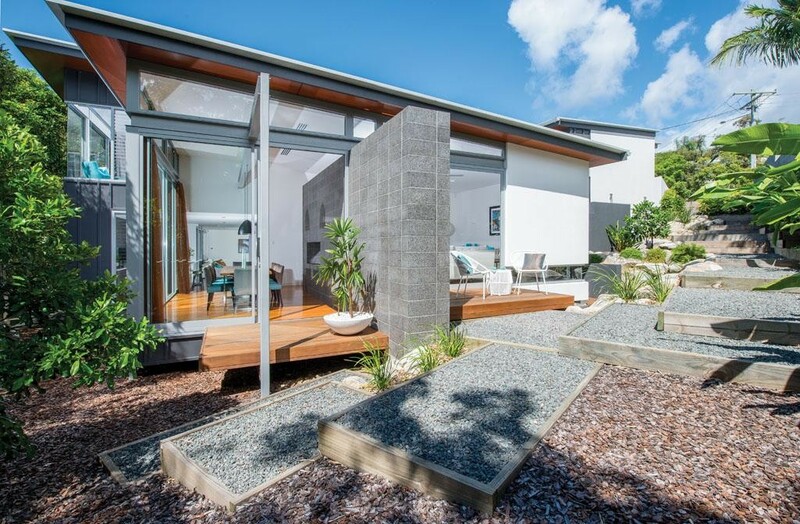 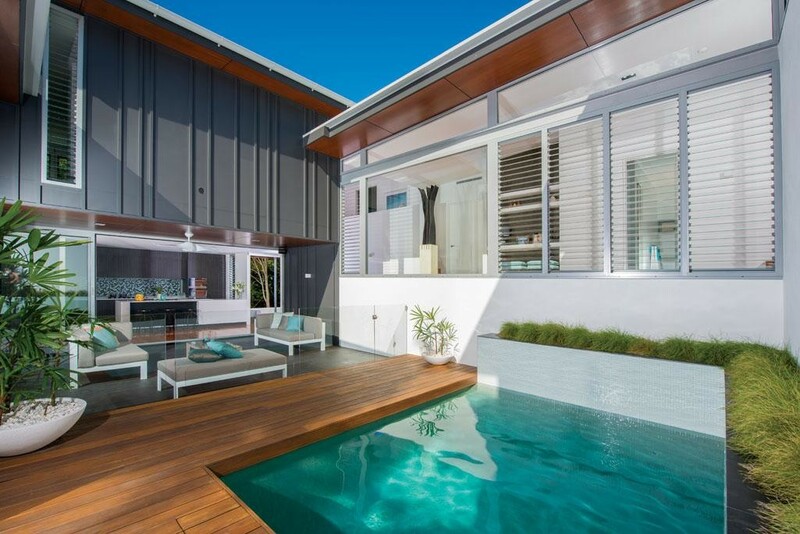 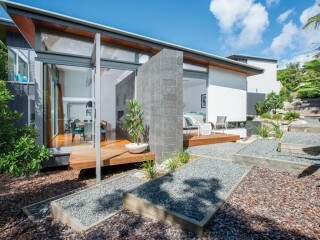 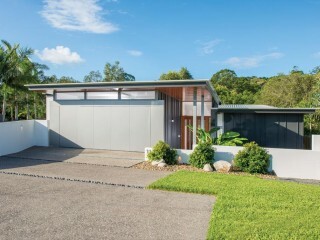 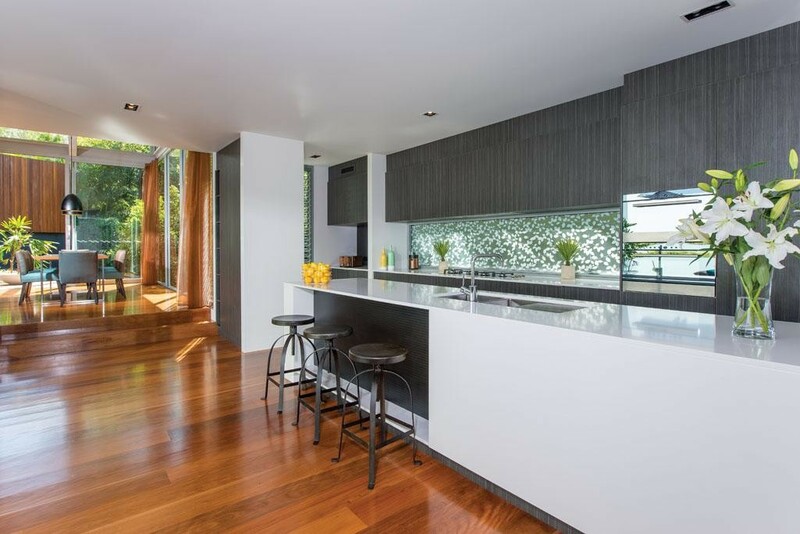 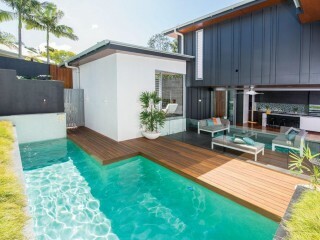 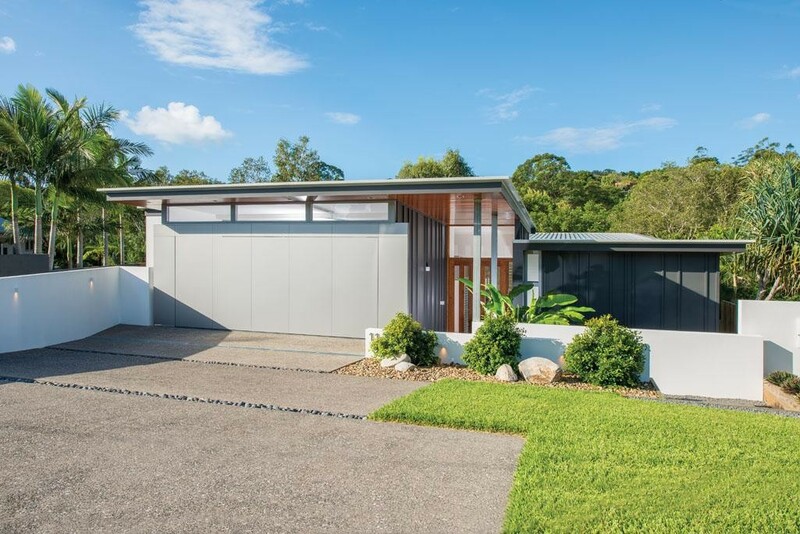 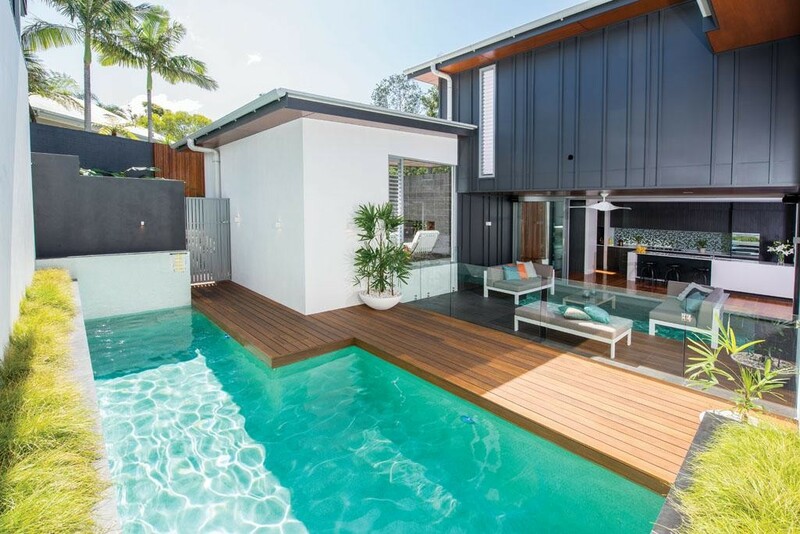 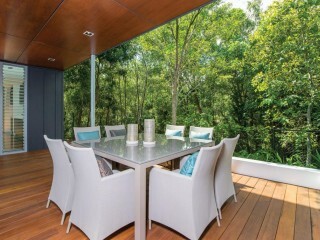 Backing onto a reserve, this inspiring architectural home offers modern family living only moments to Noosa’s main beach and Hastings Street. 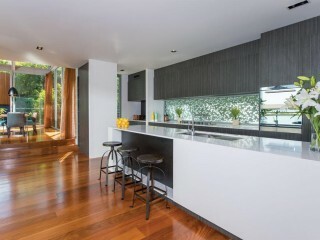 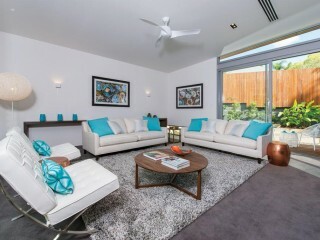 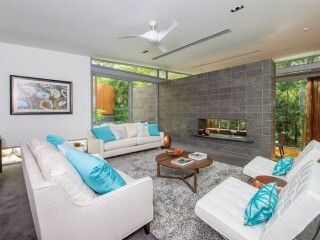 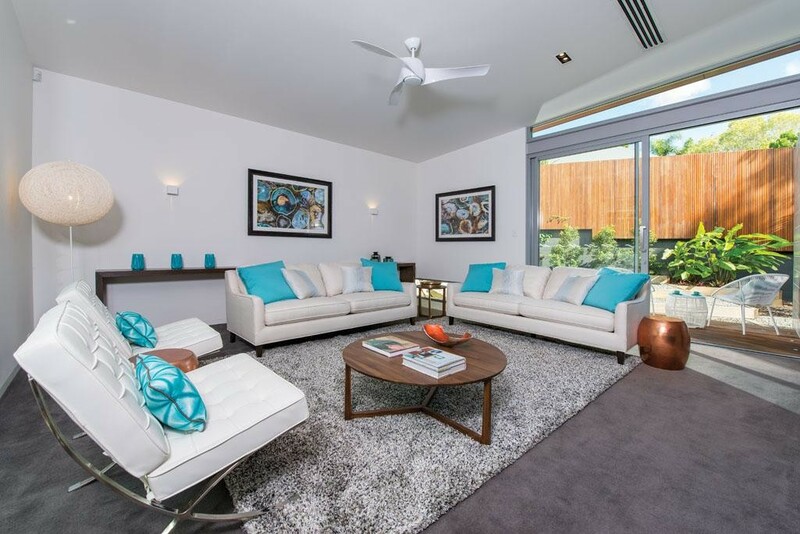 Blending neutral tones, 9ft high ceilings, timber floors and an abundance of natural light, the open plan design with indoor-outdoor connections makes entertaining easy. 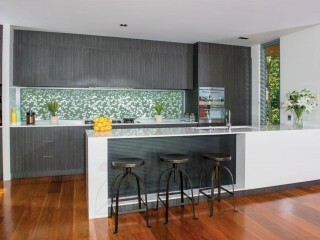 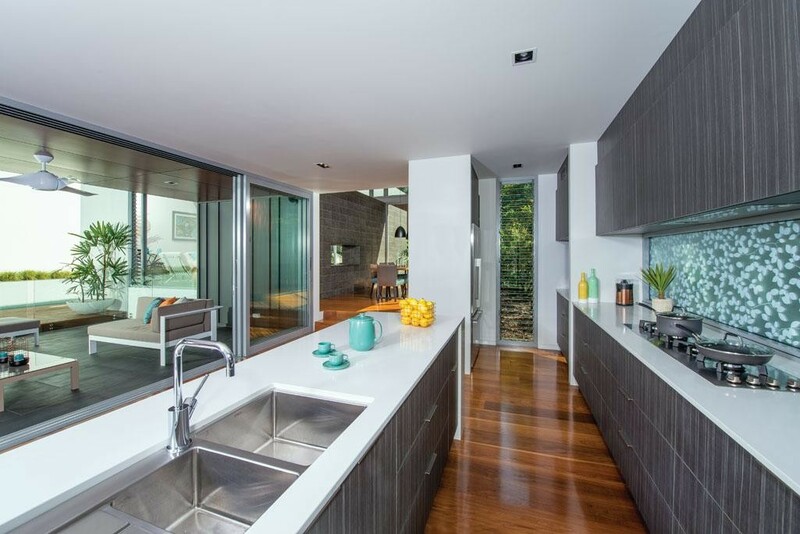 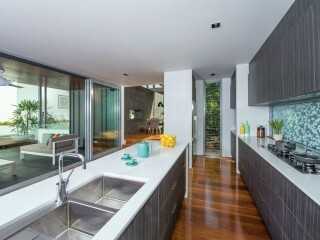 The kitchen enjoys views of the swimming pool and is every chef’s dream with stone bench tops, 6 burner gas stove, stainless steel appliances and loads of storage space. 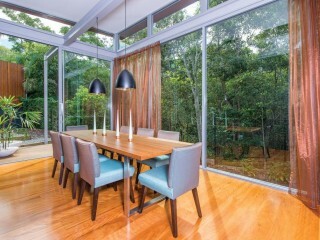 The living area with gas fire place offers a warm and intimate living space and the dining room with stunning bushland backdrop offers a unique dining experience. 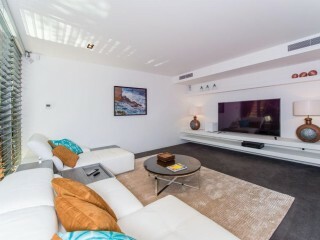 A media room with built in TV cabinet provides an additional room for leisure. 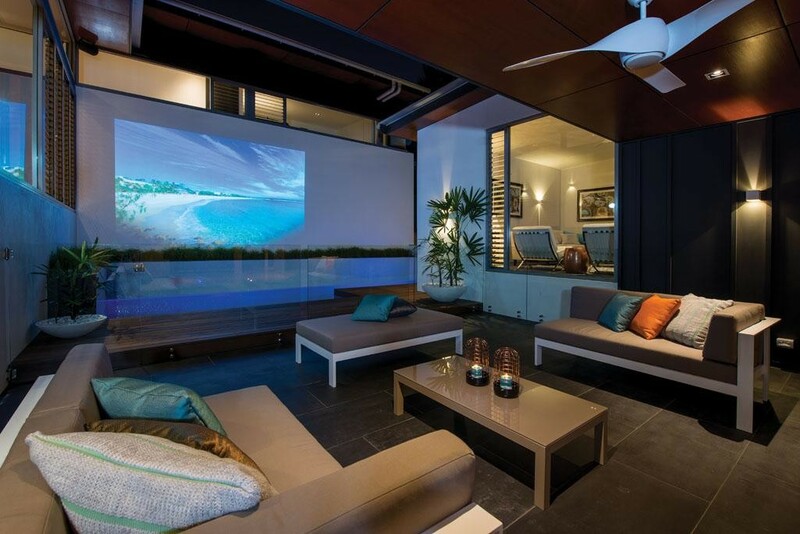 Outdoors, relax and enjoy a movie with friends and family in your private entertaining area or a bbq on the verandah located at the rear of the property. 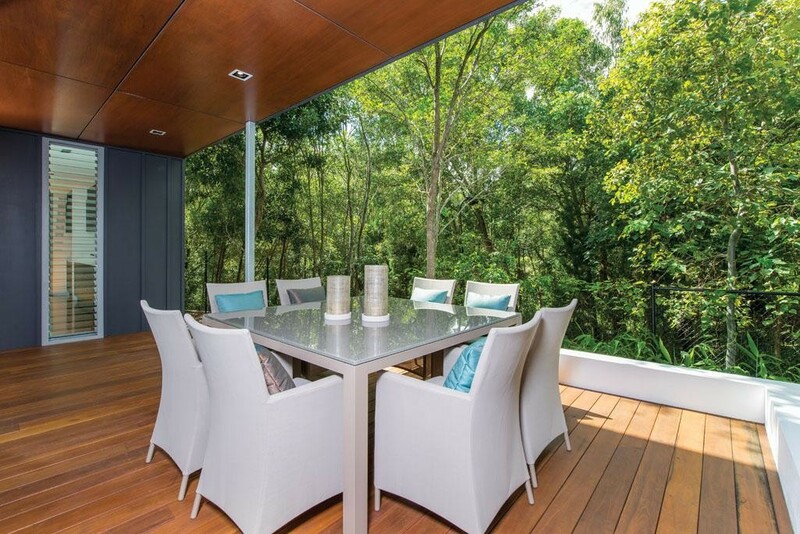 This spectacular property is complimented by beautiful native gardens and allows parking for a boat or trailer. 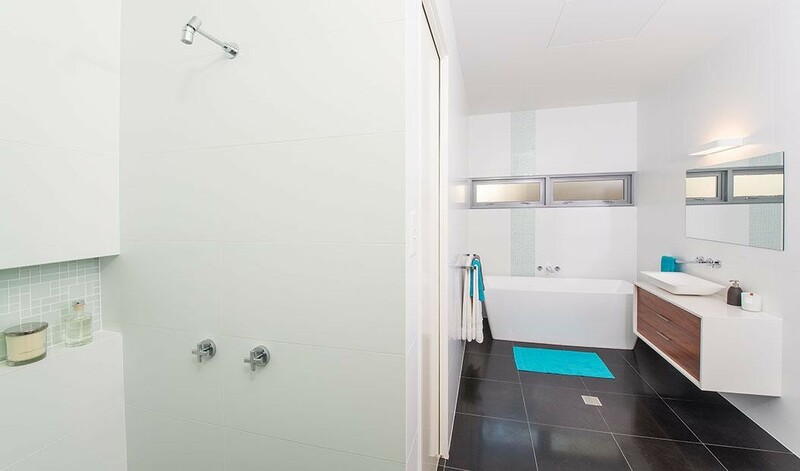 The first level of the home features two bedrooms, spacious two way bathroom with free standing bath tub, shower and single vanity. 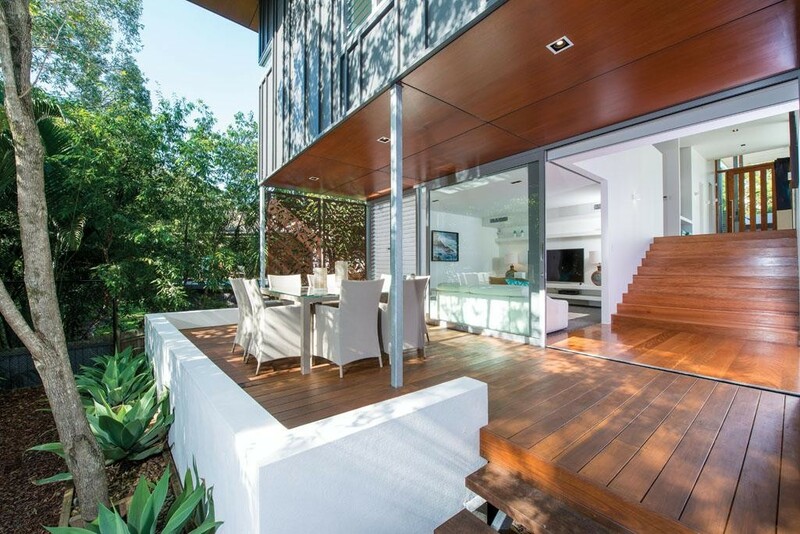 Up the striking timber staircase you will find a generous master suite and an office. 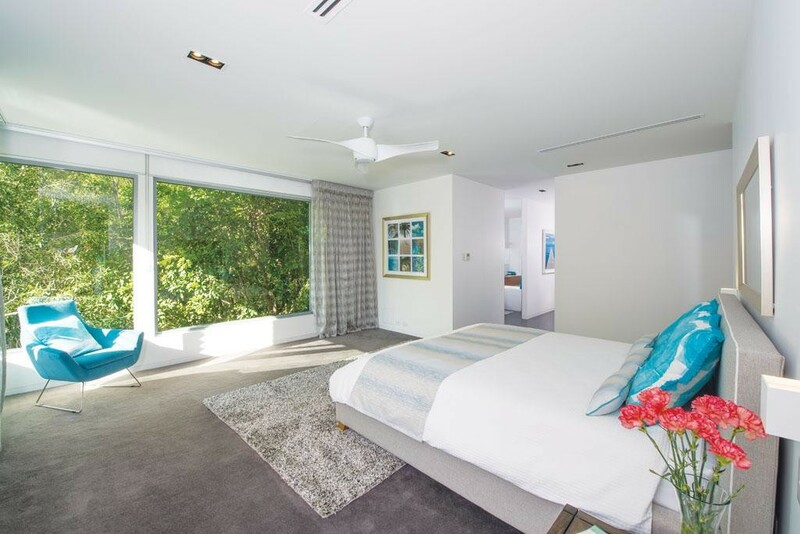 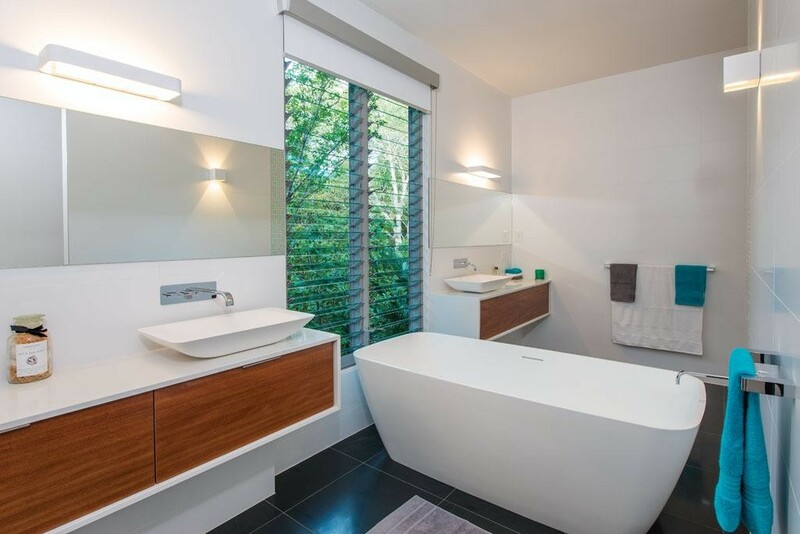 The master suite features a large bedroom, ensuite with double vanities, free standing stone bath tub, shower room with double shower heads and built in walk through wardrobe. 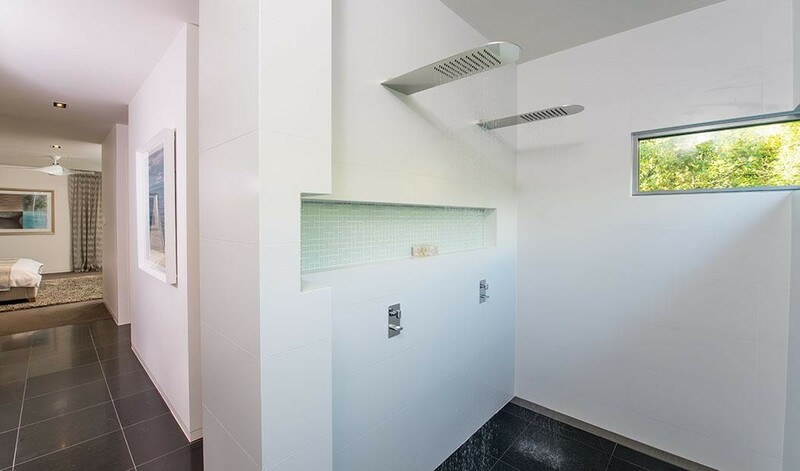 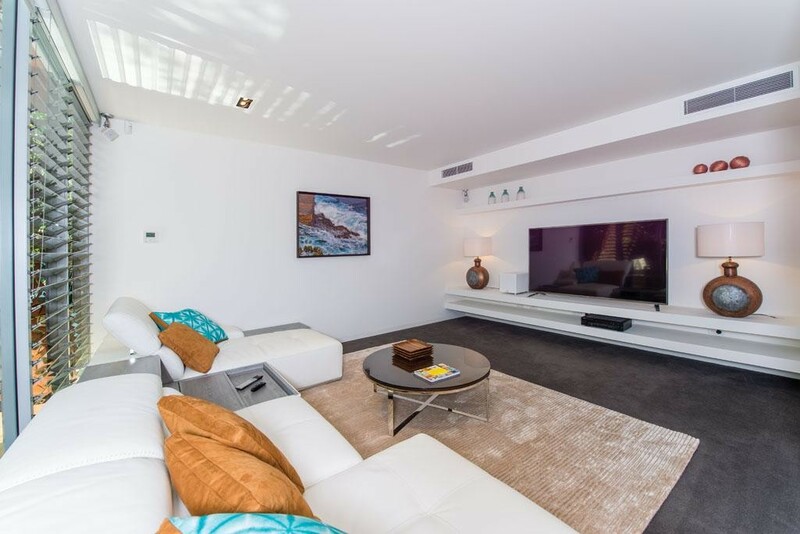 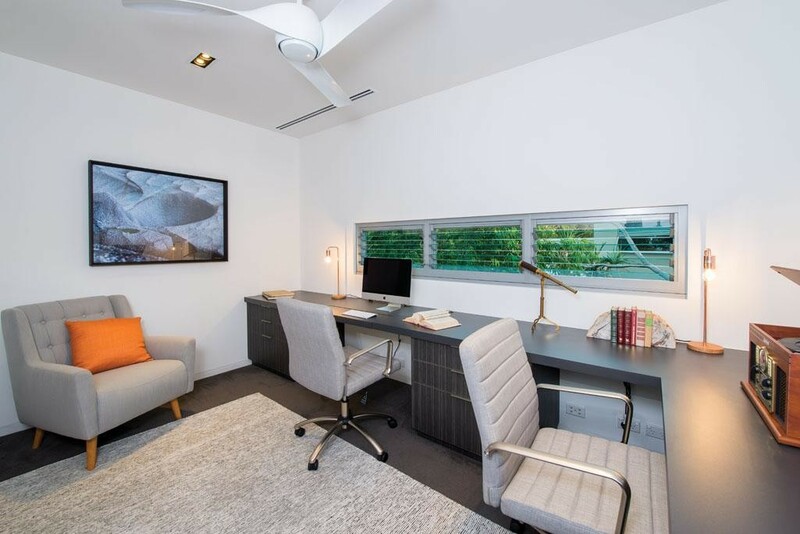 An abundance of additional features include: zoned ducted air conditioning, double lock up garage with workshop, underground storage room, alarm system and exceptional quality fixtures, fittings and appliances. 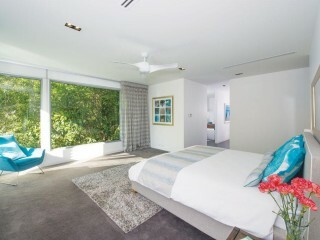 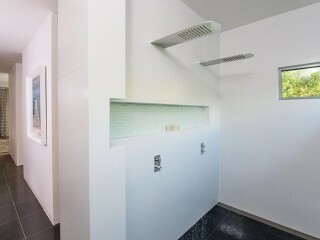 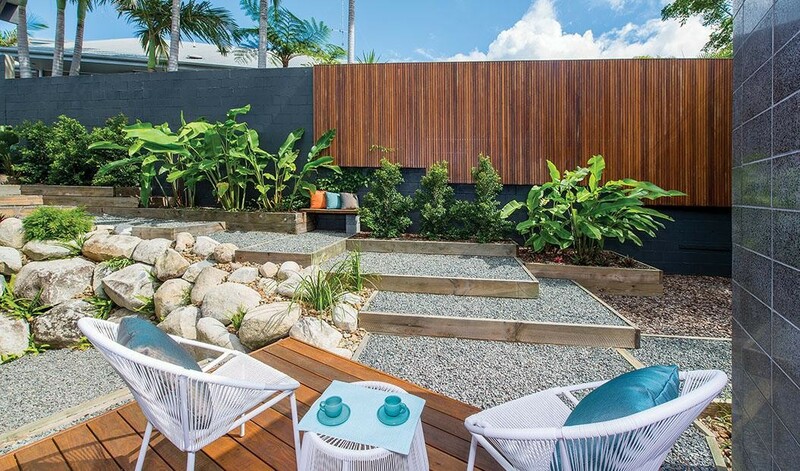 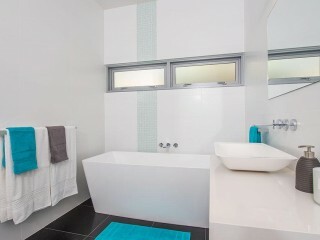 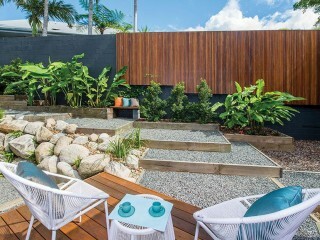 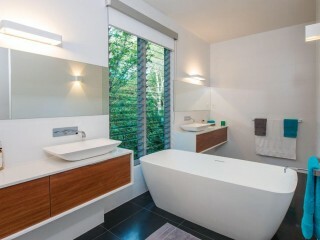 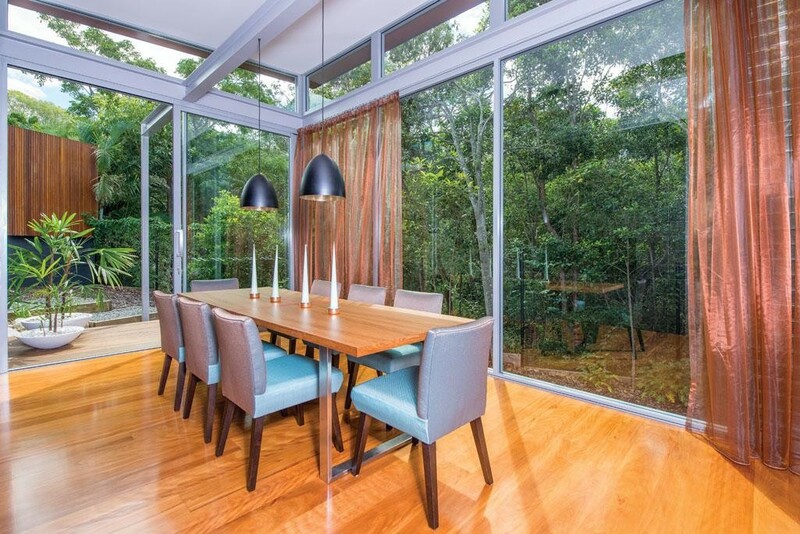 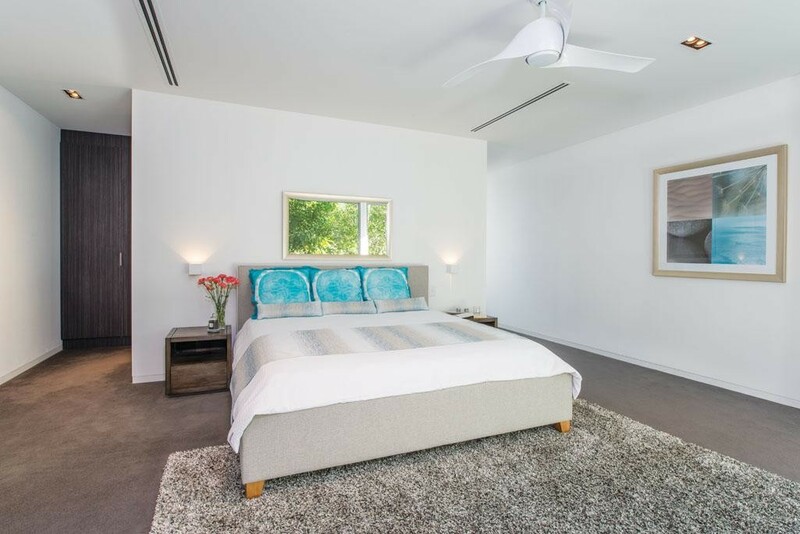 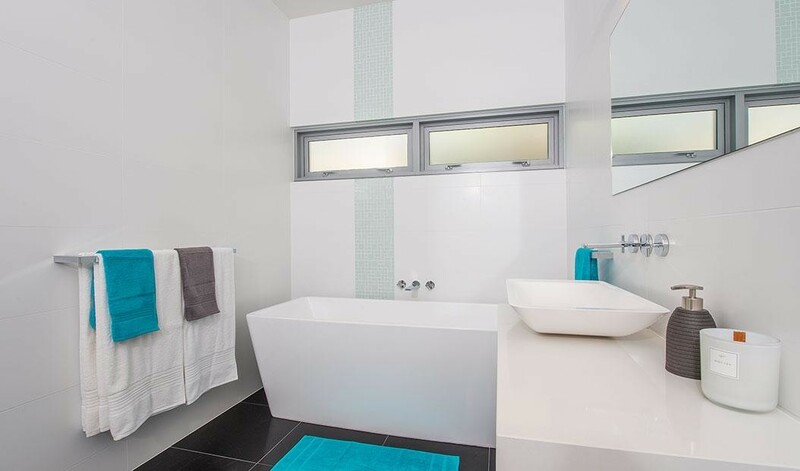 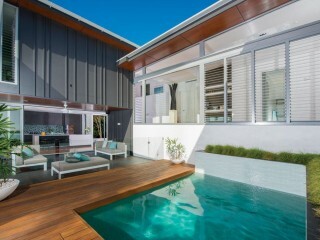 Located in a quiet position and walking distance to Noosa Junction’s shops, restaurants and local farmers markets. 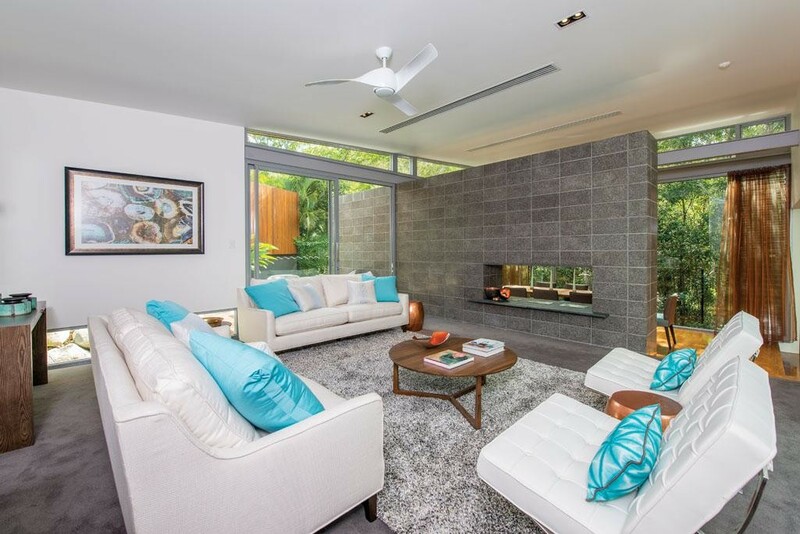 This is the perfect buy for any family or those buyers looking for executive living.